I’d like to believe that there’s such thing as luck, but let’s be honest, our parents were right. But for one month a year, I’d like to think that luck comes from four-leaf clovers, pots-o-gold, and wearing obnoxious amounts of green. In this case, luck can also come from you getting on the internet and stumbling upon this appropriately-colored running playlist. 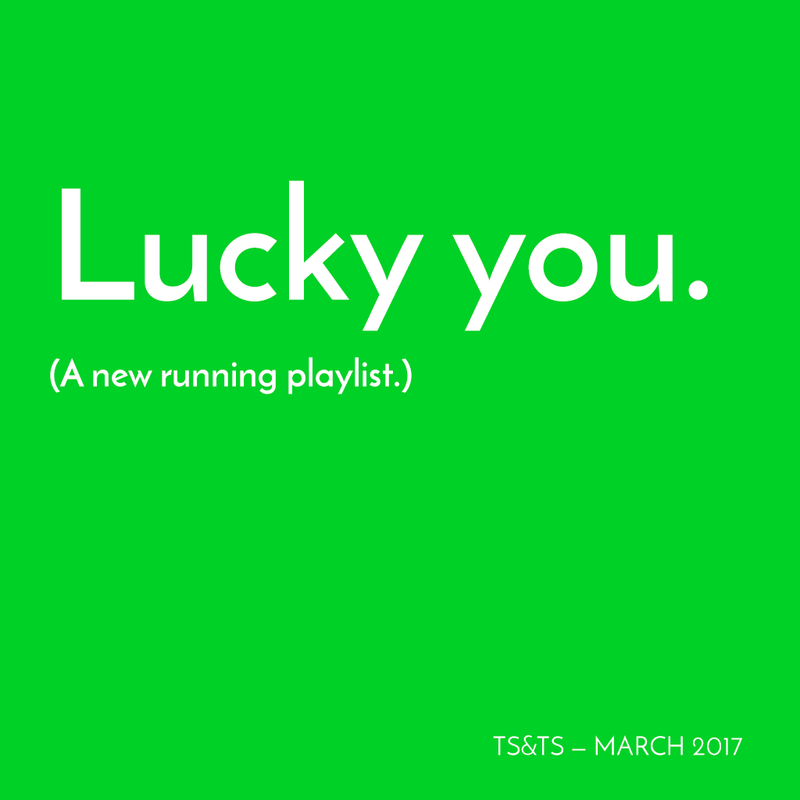 If you’re lucky (which we’ve established by now that you will be solely because it’s March, duh), listening to this playlist while out on your next run will guarantee sweat-tastic euphoria, new PRs, and finding a crumpled, old five dollar bill on the sidewalk… just enough to score an over-priced, post-run chai latte. Lucky you. And if you’re not buying any of this, give this girl a break would ya? 2017 has already been rough for the world. Power of positive thought, people. previous: Shouting From The Rooftop: IT’S A BOY! Love this playlist! Thank you for sharing 🙂 Happy March and much luck to you! Oh, the memories a few of those songs bring back…! Happy March (how is it March?! )!